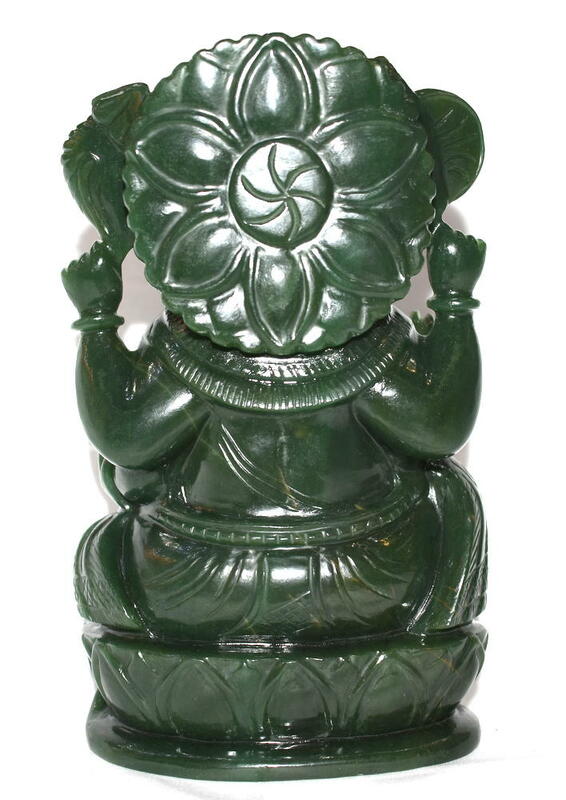 In this Idol, He is carved in 100% Natural Columbian dark color in Green Jade. 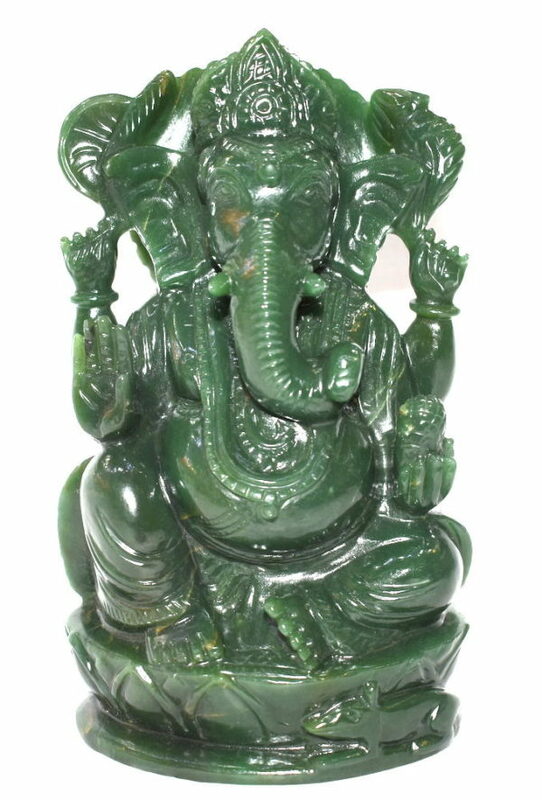 Green Jade is related to heart chakra and can attract and enhance love of all kinds It is also a stone of fidelity and generosity. 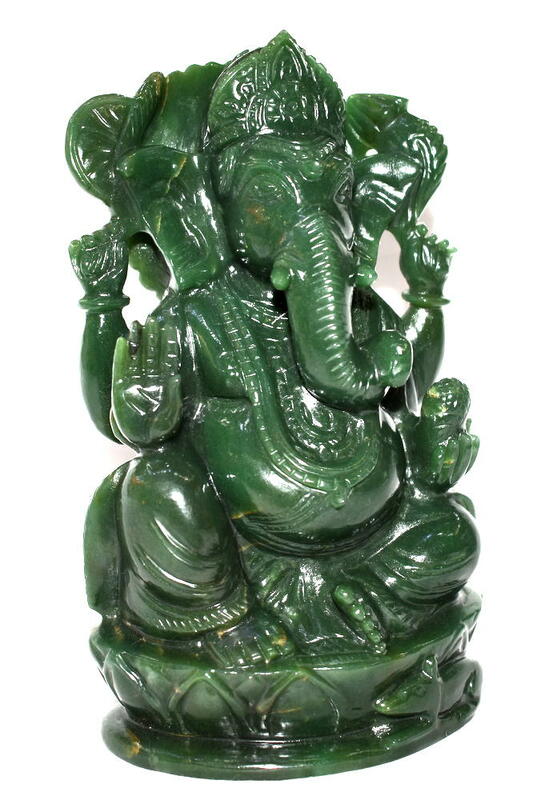 Jade is an ancient stone that has historically been used to attract money. 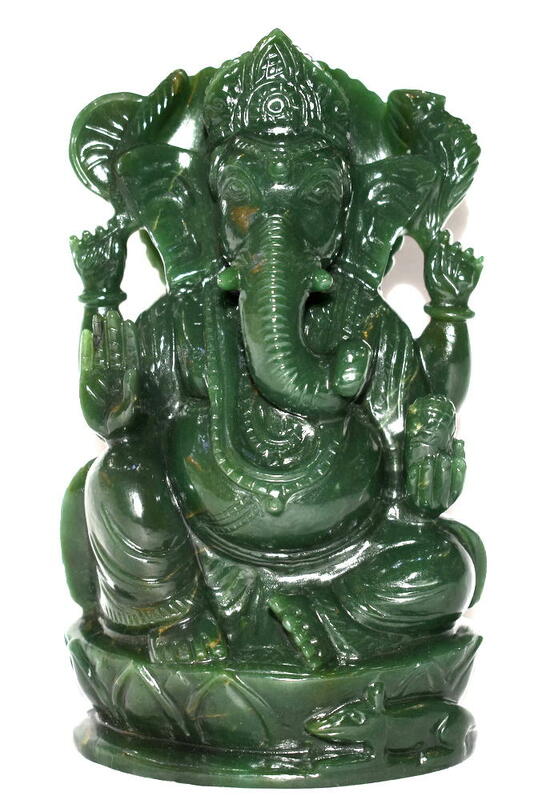 Jade is also a protective stone, guarding against accidents and misfortune. 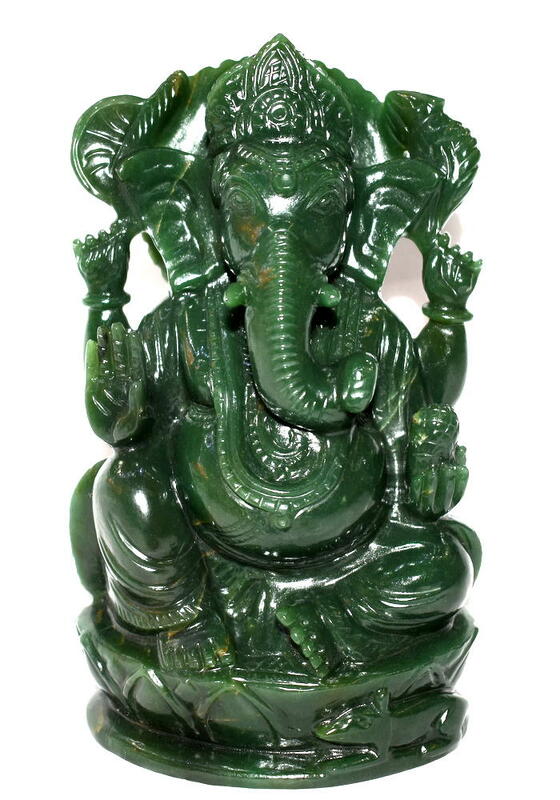 Jade is considered the health, wealth and longevity stone. 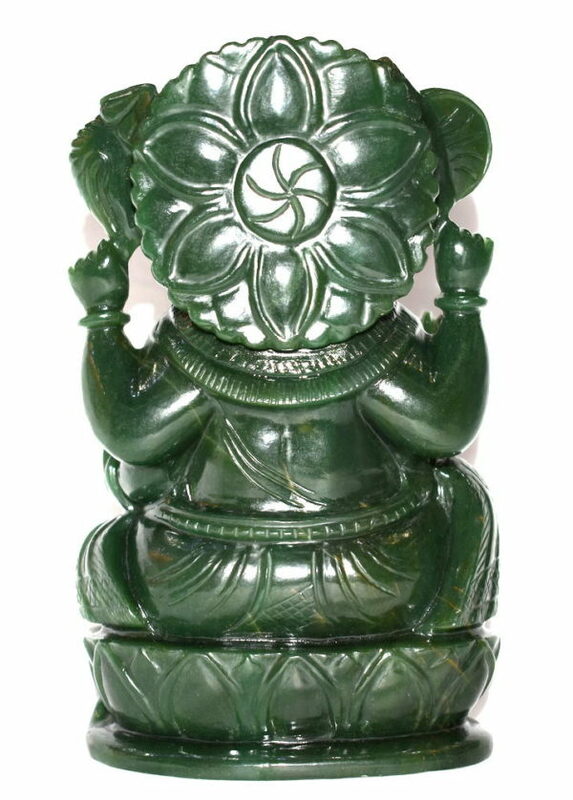 Jade is considered having a gentle, steady pulse of healing energy. 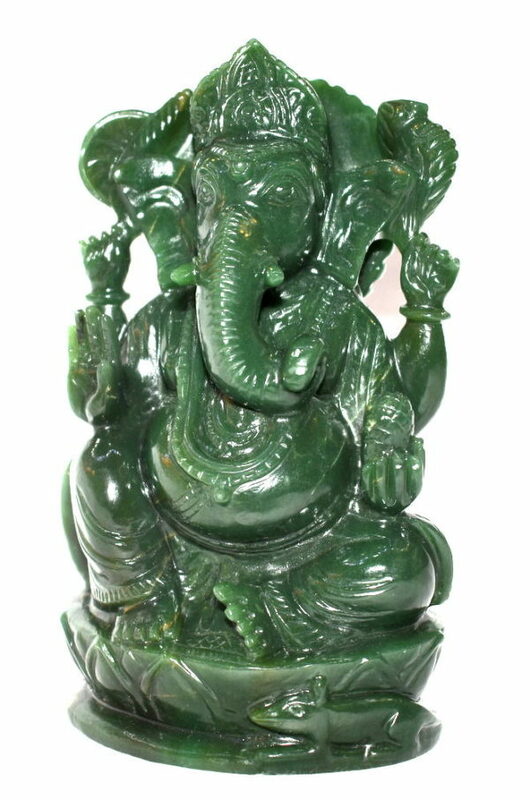 Jade gives excellent results when kept on right side of study table of students for enhancing memory and concentration . Very good for students pursuing higher education.